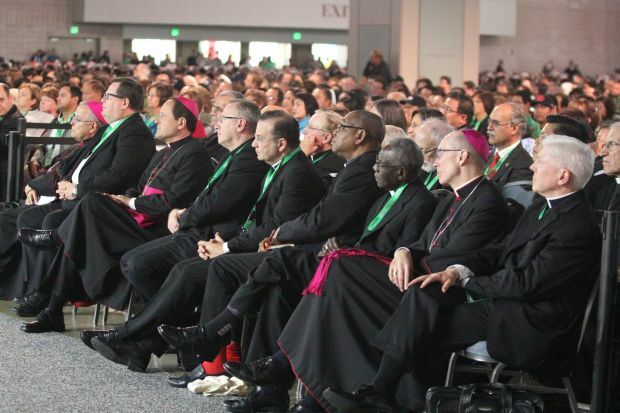 PHILADELPHIA (CNS) — All people carry wounds of the heart that only Jesus can heal and his body of Christ, the church, can be agents of that healing. 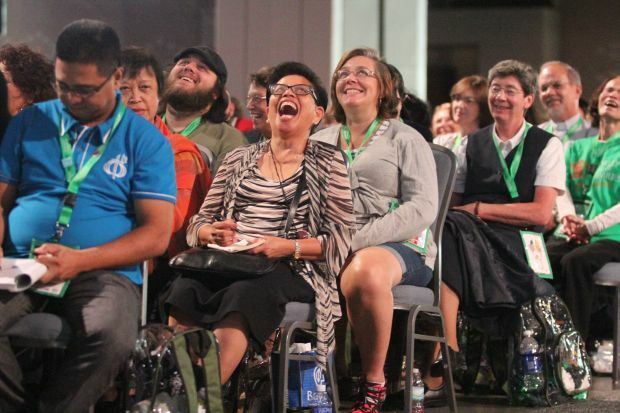 That’s the message given by Filipino Cardinal Luis Antonio Tagle of Manila during his keynote address at the World Meeting of Families in Philadelphia Sept. 24. Things such as financial problems, work conflicts, religious exclusion, discrimination, persecution, domestic violence or abuse can create wounds of the heart. “Open your eyes. Listen to the cries of the wounded. See those wounds. See the crosses of those wounds,” Cardinal Tagle entreated the crowd. Wounds that go unattended to can make people bitter or become alienated. Even if you have a large house you can still be “homeless,” the cardinal said, because only a loving presence makes a home. To illuminate that point Cardinal Tagle recited the lyrics to “A House Is Not a Home” by Burt Bacharach to the applause of the crowd. Throughout his ministry, Jesus healed the wounds of people, whether internal or external, and it’s to Jesus we must turn to heal our wounds. The Gospels give evidence of that connection between proclaiming the kingdom of God and healing. Jesus doesn’t discriminate in his healing. He is the true Good Samaritan and heals strangers and those who are his enemies. People of faith must emulate Jesus in this way. 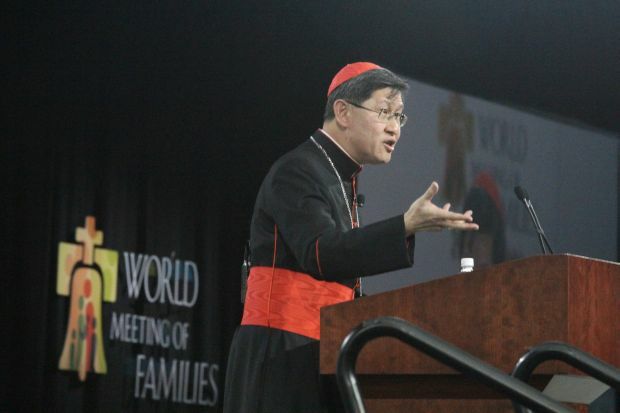 “If you want to heal, the test is are you willing to heal even your wounded enemy?” Cardinal Tagle said. That is the way of the kingdom of God, which is very different from the kingdoms of this world. Jesus also never gives up on the wounded as evidenced in the three parables in St. Luke’s Gospel about lost things: a sheep, a coin and a son. For example, the lost sheep was probably wounded or sick. Why does the shepherd go after the weak sheep? “The sheep, the wounded and lost, is mine. 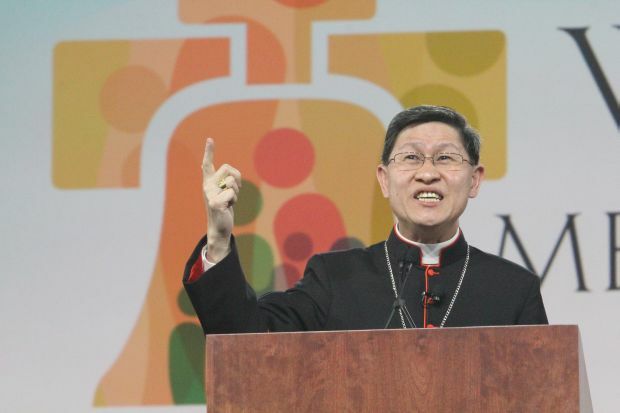 And if it cannot come home, I will carry it home,” Cardinal Tagle said. In the case of the prodigal son, the father feels his home is not a home when his son isn’t there. But Jesus does more than heal the symptoms of our wounds. In his humanity Jesus was wounded and made perfect. He bears those wounds on the cross. In that way he knows our wounds and transformed them into the triumph of the cross. Jesus can transform us through our wounds, he said. “Our wounds will make us, if we want them to, avenues of understanding, compassion, solidarity and love,” Cardinal Tagle said. The Lord through the church, the body of Christ, does all of this. All healing comes through him and is best situated in a community — the family, parish, school, group of friends — in concert with the wounded person seeking healing, he said. — Face your own wounds. This will enable you to be compassionate toward others who are wounded. — “Don’t be afraid of the dark.” Wounded souls can be in unhappy places. — Be ready to be quiet. Sometimes words are inadequate. Just be present.